I have had bettas for a long time and my other one I had died a few weeks ago and I said I would never own another one because I just love bettas so much well guess what. I bought this guy last week. He is a Blue Male Crowntail and he does have a girlfriend (blue crowntail) in the other end of the tank who hates cameras. She will hide behind the filter when I get to her with the camera. 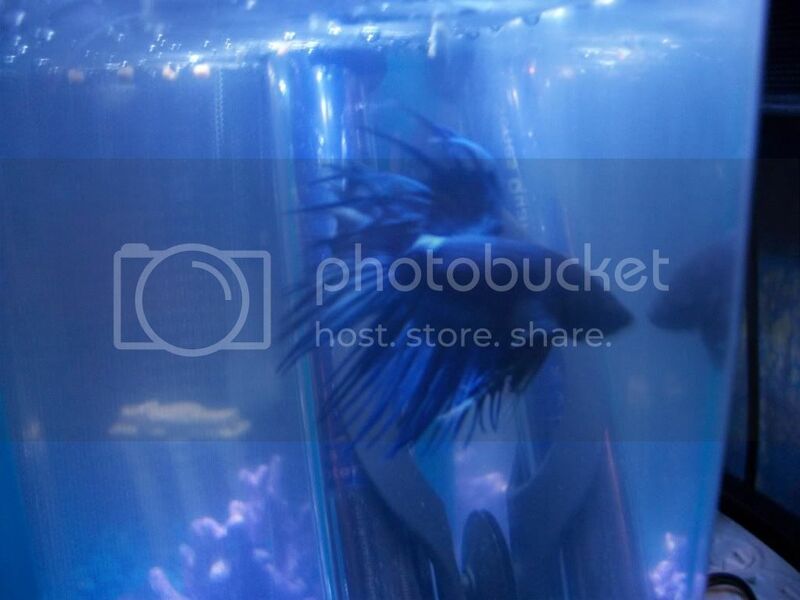 I also have another Male Crowntail (a blondi) who hates cameras as well. All bought a week ago.